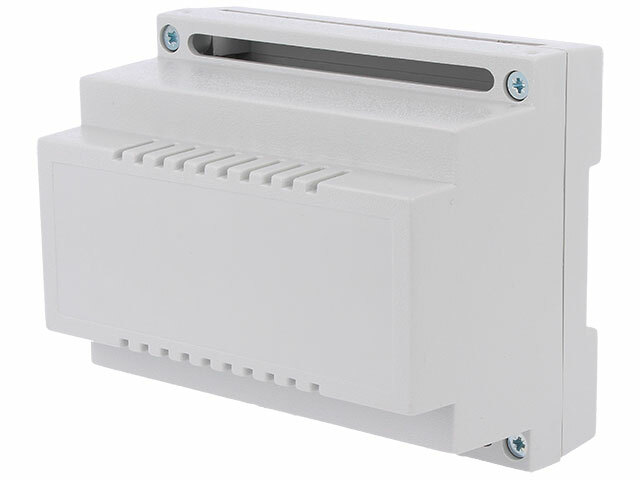 Z101-ABS is a high quality DIN rail enclosure. Its external dimensions are 107 x 89 x 65 mm. The enclosure complies with the UL94V-0 flammability standard. It is a perfect fit for installing programmable relays, PLC and GSM controllers, and in many other applications in the field of industrial automation. The ABS enclosure is made by KRADEX, a manufacturer with over 30 years of experience in this sector.